Five years ago we began working with Hudson Valley IT Services and it was one of the best decisions we made. In our fast paced industry of economic development, we need security and consistency that will allow us to operate at the speed of business. We have a trusted partner who is immediately responsive and treats our company as their highest priority. Hudson Valley IT proactively informs us on the changing technology so that we remain safe and operational. We count on Hudson Valley IT and they never let us down. 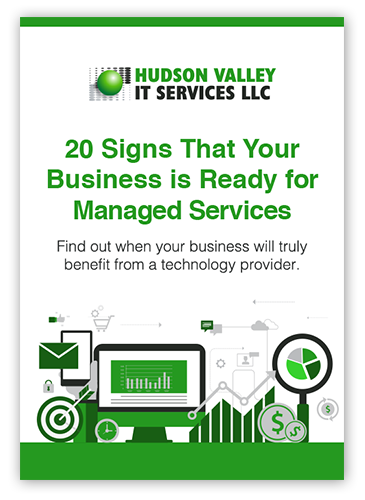 We have been using Hudson Valley IT Services for the past 6 years. They have a group of highly qualified IT engineers, yet they are able to keep their services affordable. They are always up to date with the latest technology and keep up with the emerging security threats. They have dedicated IT security staff in their network operations center which is very important to us. Hudson Valley IT streamlined our operations and transformed our business. They implemented a real-time point of sale system in 35 of our furniture stores in 3 states and allowed our business office to better manage the stores and our manufacturing facility. The project was completed on time and within budget. Support they provided to us was very prompt and efficient. We highly recommend them to any business. ©2019 Hudson Valley IT Services, LLC.